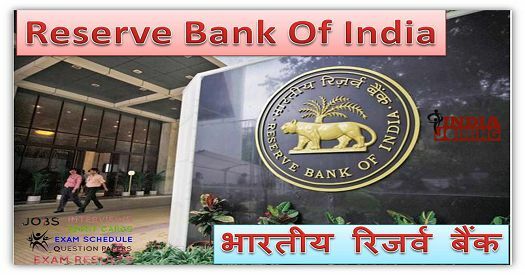 RBI Exam Syllabus 2018 - Study Material, Reference Books IndiaJoining.Com – Govt Jobs, Sarkari Results and Much More! Check and find here the RBI Exam Syllabus 2018 for various recruitment tests. Reserve Bank Of India (abbreviated as RBI) is the central bank of India. It controls the monetary policy of the Indian currency “Rupee”. Candidates who are preparing for the upcoming recruitment tests of RBI, may download the latest examination syllabus at below. Check the newly adopted RBI Examination Scheme, pattern and style of questions now at below. We are publishing RBI Syllabus, reference books and study material of Officers Grade ‘B’ General, Officers Grade ‘B’ DEPR, Officers Grade ‘B’ DSIM and several other posts. Paper-I:Check and download the syllabus, study material and other details of Paper-I (Phase-II), Economic and Social Issues. Paper-II:Check and download the syllabus, study material and other details of Paper-II (Phase-II), English (Writing Skills). The test of English language shall be framed in a manner to assess the writing skills including expression and understanding of the topic. Language and grammar books of English language. Paper-III:Check and download the syllabus, study material and other details of Paper-III (Phase-II), Finance stream. Standard of all three papers on Economics would be that of Master Degree programme of Economics. Syllabus of English includes Essay, Précis writing, Comprehension and Business/Office Correspondence. Economic Survey published by Govt of India over the previous two years. Paper-I: Definition of Probability, Standard distribution, Large and small sample theory, Analysis of Variance, Estimation, Testing of Hypotheses, Multivariate analysis and Stochastic Processes. Paper-II: Probability and Sampling; Linear Models and Economic Statistics; Stochastic Processes; Multivariate analysis; Numerical Analysis and Basic Computer Techniques. Paper-III: English Essay, Précis writing, Comprehension and Business/Office Correspondence. Standard of all three papers on Statistics would be that of Master Degree programme of Statistics.